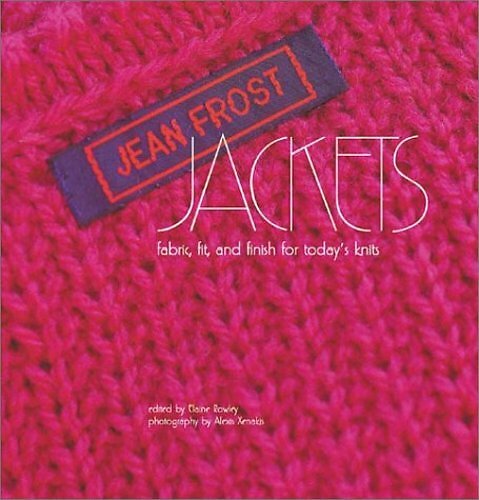 From ‘Jean Frost Jackets’: I believe the Chanel style is based on the Janker jacket worn by the people who live in the alpine regions of Europe. This practical garment is made of fulled fabric that is windproof and very warm. Coco Chanel spent some time in Switzerland during World War II where she must have seen this type of jacket. When she returned to designing after the war, Chanel produced the timeless garment we now refer to as a Chanel jacket. I gave this jacket four pockets, and slits at the bottom of each sleeve. It is finished with single crochet braid and a picot edging. Crocheted buttons are sewn on with the contrasting-color yarn. YARN REQUIREMENTS: Medium-weight yarn, Main Color (MC) – 1200 (1400, 1600) yds / 6 (6, 7) skeins and Contrast Color (CC) - 800 (900, 1000) yds / 4 (4, 5) skeins. SHOWN IN: Plymouth Galway, MC - #109 Taupe and CC - #114 Pink. 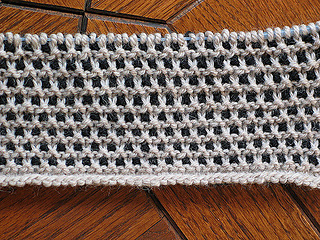 CONSTRUCTION TECHNIQUES: 3-needle bind-off is used to connect shoulders, slip-stitch crochet used to join seams and insert sleeves, single crochet and picot crochet edgings, single crochet covered buttons.